These days tomatoes are really cheap in the market and vegetable sellers are flooded with tomatoes. This is the ideal time to make tomato ketchup / sauce. You can preserve this homemade for almost a year. It contains a preservative, sodium benzoate, which increases its shelf life.This homemade ketchup is made of tomatoes and only tomatoes. You can serve Springrolls, Kachori, Dhokla, Sandwich, Kothimbir Vadi, Burger and many other snacks. Rinse the tomatoes under running water and cut each tomato into four parts. Cut green chillies and garlic into pieces. Take a pressure cooker and add tomatoes, green chilli, garlic and cloves. Pressure cook to two whistles. Blend the tomato mixture to a smooth puree and strain it through a strainer to a heavy bottom wok. Keep the wok on a stove top. Add sugar, salt and black pepper. Stir continuously on a medium flame till the pulp starts thickening and reaches ketchup like consistency. The pulp should fall from the spoon in lumps. It should not fall free flow. Remove from the flame and allow it to cool. Add sodium benzoate to the sauce and mix well. Store it in a sterilized jar. 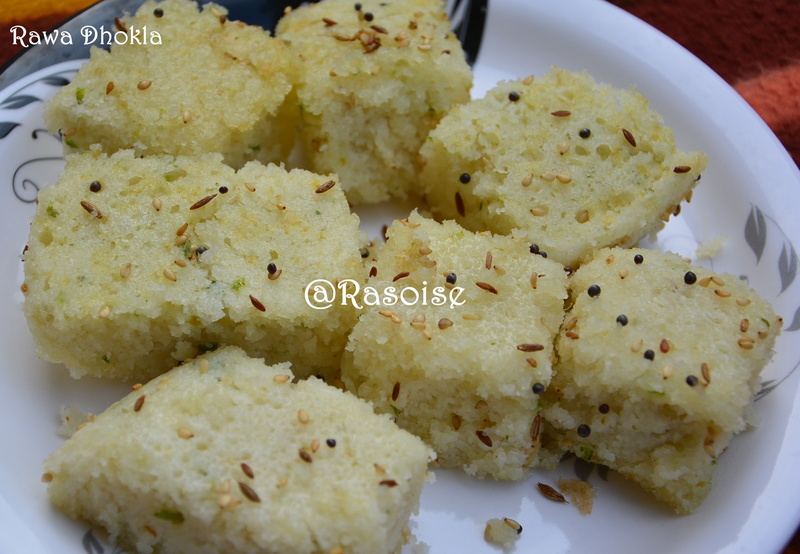 Rawa Dhokla also sometimes referred as “white dhokla “comes from Gujarati cuisine. It is soft and spongy snack generally served with coriander or mint chutney. It’s main ingredient is rawa viz. semolina and curd. As it is a healthy snack, it is a perfect snack for kids lunch box. Today we will be preparing instant rawa dhokla!! Take a big bowl and mix rawa, curd, water and salt. Beat until smooth and there are no lumps. Keep it aside for 15 minutes. In the mean time, add approx two glasses of water in the steamer and grease its trays with a tsp of oil. Add green chilli, ginger paste, onion and green peas. Mix well. Add Eno in the batter and mix until bubble appears on the surface. Pour the batter into the greased tray till its half capacity and place in the steamer. Steam it on high flame for five minutes and low flame for another ten minutes. After fifteen minutes check with the knife if it’s ready (If knife comes out clean, its ready). Let it cool for ten minutes and then cut into pieces. Heat oil in a pan, add mustard seeds, when they crackle add cumin seeds and sesame seeds, add curry leaves. Sauté for a while. Pour the tempering on the steamed rawa dhokla. Garnish with chopped coriander leaves. 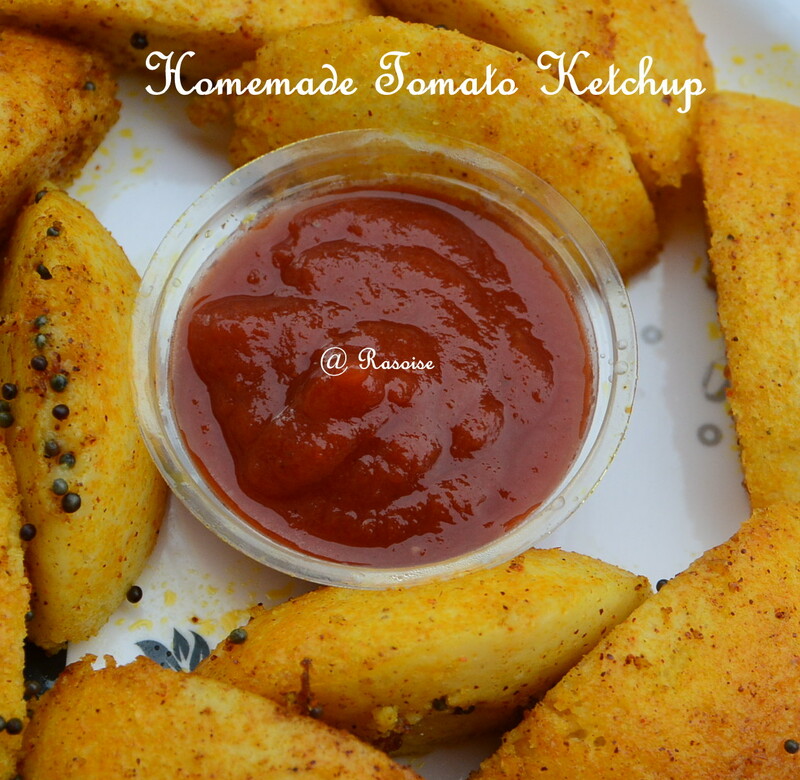 Serve hot with green chutney or tomato ketchup in morning or evening breakfast!! This can also be used as side dish for lunch.